In racing or any spirited driving, there are many forces that act upon your car; power, weight, and tires are a few things that can affect your car in either a negative or positive way. An aluminum spoiler can have a great impact on vehicle aerodynamics. These spoilers will increase downforce when the vehicle is pushed to the limit on a race track. Megan Racing has developed a line of universal Aluminum Spoiler applications. These spoilers help with aerodynamics and the aid the down-force applied to your car. Constructed of a lightweight yet durable aluminum alloy, these wings are fully adjustable to tailor to your vehicle and track needs. 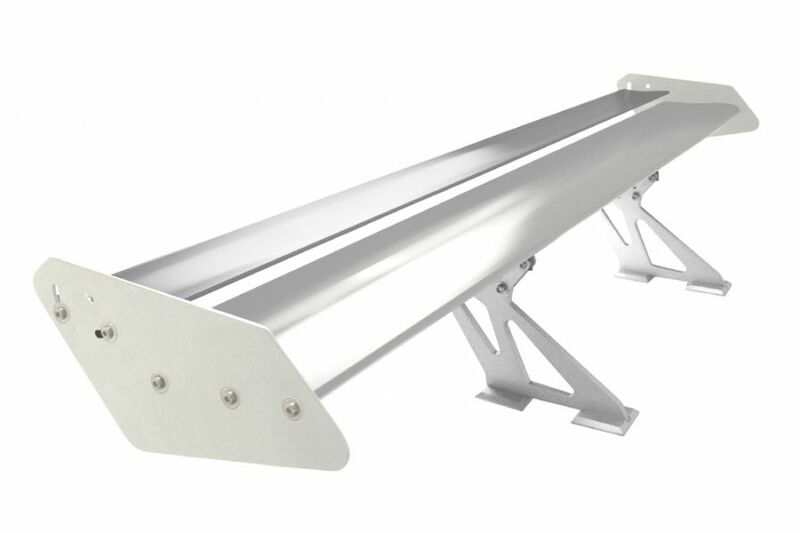 Finally these spoilers are available in several combinations of finishes. In conclusion these wings will add an aggressive look to the exterior of your performance or show car.